President Akufo-Addo's promise of ensuring the passage of the Right to Information (RTI) when he takes over the reins of government has come to pass. From its conception to date – twenty years – so much water has passed under the bridge. Some described the hiccups and convoluted features of the process as suggesting that the erstwhile NDC government was not sincerely in favour of the passage of the RTI. Whatever the truth is, it never morphed into law under the NDC government. 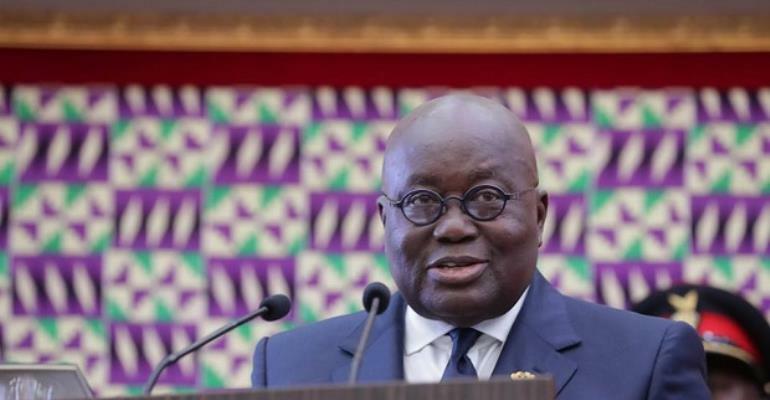 Having taken over the mantle of leadership, President Akufo-Addo did not mince words when he told Ghanaians and the world that his resolve to have the legislation passed was unshakeable. Cynics derided his determination but now that he has made good his promise, with the backing of the legislature, they have changed the narrative. The passage of the bill is, of course, a credit to the Akufo-Addo administration. For a President who as a minister of justice initiated the germane legal processes to eventually extricate the bogus criminal libel law from our statute books, the passage of the RTI was only a matter of time. The bottom-line of accessing information of public interest is to ensure good governance, making those entrusted with the management of the country accountable to the people. Not knowing how for instance the public purse is being managed does not inure to good governance especially in a society where the incidence of corruption is high, notwithstanding current measures to stem the phenomenon. Of course, those who fought tooth and nail for the final passage of the law consider the feat as inuring to the interest to the war against corruption. Transparency is an ingredient which has been lacking in governance especially during the tenure of the immediate-past government. The many cases of impropriety – some of them at the offices of the anti-graft agencies – are traceable to such opaqueness in governance. When information is managed well and churned out where necessary, members of the public would cease being in the dark. The feeling of being part of the society to which one belongs can be enhanced when information is not hoarded, as it were. We are excited at the prospects of appointees being haunted by the possibility of being called upon to release vital information about their stewardship. That, of course, would keep them on their toes. Ghana has blazed the trail once more for others intent in ensuring good governance and ready to fight corruption to emulate. Those who access such information from public institutions should be responsible enough to let the national interest be their guiding principle. Accessing information for sheer mischief would defeat the purpose. We pray the authorities would expedite work on the architecture upon which the law is going to operate. The officers who would be engaged in the various institutions to handle such enquiries must be deployed without delay. Those who stand in the way of the success of the legislation should be smoked out and dealt with according to law.